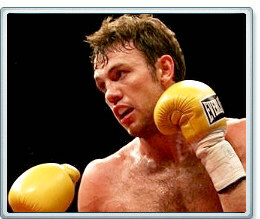 According to his promoter Lou DiBella, Andy Lee is out of the running to face WBC middleweight champion Julio Cesar Chavez Jr. on June 16th. The most prominent name I’m hearing now to face Chavez is Martin Murray, who gave WBA belt-holder, Felix Sturm all he could handle in his last outing. As for Lee, this is a bitter pill to swallow given that he basically dropped out of the opening slot on March 17th on HBO believing he had a shot at Sturm and then Chavez Jr. DiBella told me that after Lee fights on March 10th in Detroit in a stay-busy fight, he will work on getting him a fight with the recognized middleweight champion, Sergio Martinez or IBF titlist, Daniel Geale. Honestly, I was looking forward to Chavez-Lee.